Teeth are essential to overall health. They enable us to eat foods that provide our bodies with the nutrients they need to function properly. Toothache has many causes, including infection, injury, and gum disease. The breakdown of tooth enamel results in cavities and decay, problems which can only be remedied by a dentist. Sometimes you might also get dry socket, experience teething pain particularly for babies and receding gums is also one of the most common dental problems. 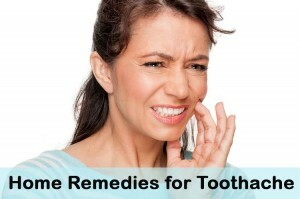 The natural home remedies listed below relieve the pain of toothache and help prevent future problems. Actual tooth pain is only one of the symptoms of tooth decay. Listed below are other symptoms that indicate more serious dental issues. The remedies listed below will help relieve the pain and other symptoms of tooth decay until you can see a dentist. Salt cleans out the mouth and draws out fluids that cause pain and swelling. Mix 1 tablespoon of salt into a glass of warm water, let it dissolve, gargle it, and spit it out. Hydrogen peroxide has anti bacterial property which kills bacteria that cause tooth decay. Gargle it alone or dilute it with water. Swish a bit of whiskey, scotch, brandy or vodka to kill germs and numb toothache. You can also use a cotton ball to apply these directly to the painful tooth. Vanilla extract contains a small amount of alcohol which kills the bacteria that causes toothache. Soak a cotton ball in vanilla extract and hold it in place. You can also use almond, peppermint, or lemon extract. Tea tree oil has anti-inflammatory and antiseptic properties. It stops swelling in the gums, root canal pain, calms nerves, and penetrates deep into the tooth to kill the bacteria that cause toothache. Use a cotton ball to apply it directly to the tooth or mix a few drops into a glass of warm water and rinse with it. Apple cider vinegar has antibacterial and anti-inflammatory properties. It’s acidic property helps to kill the bacteria causing toothache. Soak a cotton ball with Apple Cider Vinegar and apply it to the problem tooth. Ginger has anti-bacterial properties and it prevents swelling. Chew a piece of fresh ginger root. Garlic is anti-bacterial. Crush a clove of garlic and hold it inside your cheek against the tooth that hurts. You can also crush a clove with sea salt to make a paste and apply that to your painful tooth. Peppermint has anti-inflammatory properties. It reduces swelling and soreness. Chew fresh peppermint leaves or hold dried leaves against the tooth that hurts. You can make peppermint tea by adding 1 teaspoon of dried peppermint leaves to cup of warm water and steep for 20 minutes. Allow the tea to cool and swish it in your mouth & Split it out. Repeat the process regularly. Potatoes have anti-inflammatory properties. They reduce swelling and absorb excess moisture. Hold a slice of fresh potato inside your cheek against the painful tooth, or mash some potato, mix in sea salt, and apply that to the problem tooth. The citric acid in limes reduces inflammation and destroys bacteria that causes toothache. The vitamin C in limes helps the immune system fight off bacteria and infection. Apply a slice of lime directly to your problem tooth and bite to release juice. Onions have antiseptic and anti-microbial properties that relieve the pain of toothache. Chew a piece of fresh onion for few minutes or hold it inside mouth and bite to release juice. Plantain leaves prevent toothache with its natural medical properties.. Chew the fresh leaves until they’re pasty and hold them against the painful tooth. Cucumber has anti-oxidant and soothing properties that reduce the toothache. Hold a slice of fresh cucumber against your problem tooth. You can use chilled cucumber if your tooth is not sensitive to cold. You can mash it with salt and place against the painful tooth. Cayenne pepper contains a natural pain reliever called capsaicin. Crush a few fresh cayenne peppers and add water to make a paste, or mix equal quantities cayenne powder and ginger with apple cider vinegar to make a paste. Apply the paste of your choice directly to your problem tooth. Pepper contains anti-bacterial and anti-inflammatory properties which relieve the pain of toothache. Mix black pepper with water to make a paste and apply it to the problem tooth and hold for few minutes. Moisten cotton swab in water. Apply baking soda to a cotton ball and hold it against your problem tooth, or mix 1 tablespoon baking soda into a glass of Luke warm water and swish in your mouth. Cloves have anti-inflammatory, anesthetic, and anti-bacterial properties, and they contain antioxidants that kill bacteria. Make a paste with ground cloves and either water or olive oil and apply it to the affected tooth, or hold a clove against the tooth and bite it to extract juice. Wrap ice cubes in a towel and hold them against your cheek to numb the pain. Or use a hot compress in the same fashion. Wheat grass has anti-bacterial property it helps to get relief from toothache and also get rid of the tooth decay problem. It extracts toxins from the mouth and it relieves pain. Use a blender to juice wheat grass and use it as a mouthwash, or just chew wheat grass. Fresh guava leaves are anti-bacterial and they relieve pain and heal gums and mouth sores. Chew one or two leaves. Or add 5 to 6 leaves to a glass of water. Boil water for few minutes and a pinch of salt when it becomes warm. Use this as a mouth wash. Spinach leaves work the same way if you can’t find guava. Pepper is anti-bacterial and salt reduces swelling and aids in healing. Mix equal quantities salt and pepper with water to make a paste and apply it to your tooth and leave for few minutes. Lemons have anti-inflammatory properties and they relieve pain. Apply fresh-squeezed lemon juice to the painful tooth with a cotton ball. Avocado has antioxidants that prevent toothache. Toast avocado seeds and blend them to make a powder. Apply it to the painful tooth and cover with cotton. (Not recommended for pregnant women). Asafoetida destroys the bacteria that causes toothache and relieves pain. Add a pinch of powdered asafetida to lemon juice. Mix well, warm slightly, and then apply to painful tooth with cotton ball. You can also fry asafetida in clarified butter & apply it to your affected tooth to get instant relief. Crush bay berries and mix with vinegar to make a paste. Apply it to the painful tooth. Sunflower oil, sesame oil, oregano oil, nutmeg oil, and clove oil soothe pain and stop inflammation. Swish them in your mouth or apply with cotton balls. Turmeric has anti-septic and anti-bacterial properties which help soothe the pain of toothache. Mix 1 teaspoon of turmeric powder and purified water to make a paste. Use a cotton ball to apply it to your tooth. You can also eat raw turmeric or take turmeric supplements. Myrrh reduces inflammation and kills bacteria. Simmer 1 teaspoon powdered myrrh in 2 cups of water for 30 minutes. Strain it and let it cool for few minutes. Mix 1 teaspoon of this solution into a half cup of water and swish it in your mouth 5-6 times daily. Massage the point on the back of your hand in the web where your thumb and index finger meet for about two minutes. This releases endorphins that relieve pain. Or you can massage the same place with ice to get relief from the pain of toothache. (Not recommended for pregnant women). Take non-steroidal, anti-Inflammatory painkillers such as aspirin or ibuprofen to get effective relief from the minor toothaches. Consult a doctor or read the package for proper dosage. Apply Vick’s vapor rub to the outside of the jaw to relieve pain. Pain in the side of your face is most likely due to sinus congestion, not toothache. Consult a dentist at the first sign of pain. Have you tried any of these natural remedies for toothache? 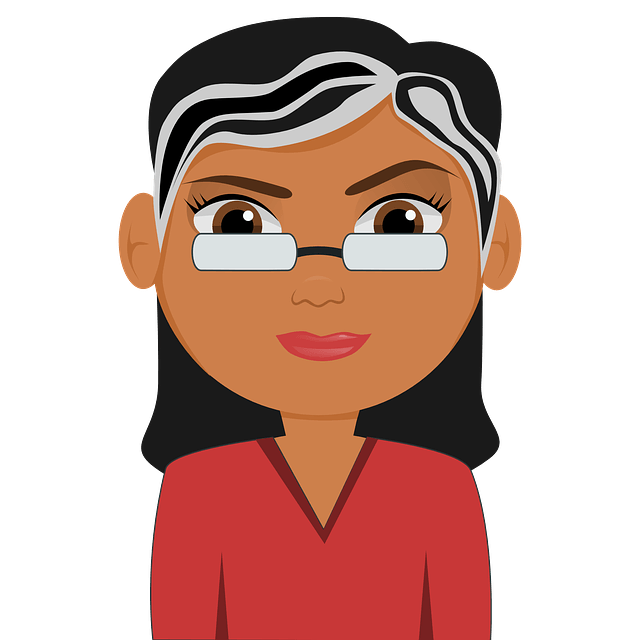 Do you know of others we haven’t mentioned? Share your experience with us. As soon as the salt and pepper hit the spot, that was it!!! what did you do with the salt,pepper please. The Onion one really seems to work, chew on a freshly cut Onion slice, takes about ten minutes to help. My son is only 14 years . Dr said root canel its coastly also he is having cavity shall I gave home remadies to remove the cavity? Home remedies cannot remove the cavity. A dentist will have proper tools required to remove the cavity and fill the tooth space. It is important to get the cavity removed. If it is not removed, it can lead to tooth abscess. Home remedies mentioned above in the article will provide relief from the pain until you can reach out the doctor. Placing salt in hot water and wait till it’s warm enough to gargle and swish in mouth. STOP THE PAIN WITHIN SECONDS. Repeat if necessary. Isopropyl rubbing alcohol….91% is too strong the 70% seems right…..just tilt your head with the alcohol in your mouth and hold it on the tooth as long as you can stand it. Eventually the tooth completely stops hurting but it will come back if you don’t get it taken care of…..comes back tenfold lol. I haveused panadol nurofen and oral eaze these don’t seem to do much at all i tried ibuprofen but not much effect. tried salt warm water works great definetly recommend it. Cut slices of Onion, fresh, hold in mouth on tooth, then bite into it, the pain will go away after 10 minutes. 1:00 a.m… and I’m literally in so much pain that getting out of bed to make any of the suggested concoctions is only gonna add to the torture. So instead I try the acupressure technique between the thumb and pointer finger. Less than a minute later and ABRAHCAHDABRAH… toothache is gone!!! Thank you SO MUCH!!!!! Thanks for sharing your experience. We recommend consulting a dentist to know the reason behind the tooth pain. Almost in tears at 2 a.m. Salt and pepper did amazing! Thank you for sharing. The warm water and salt helped.